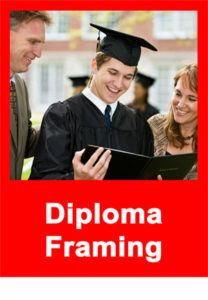 Frame Minnesota - Eagan, MN Picture Frame Shop and Custom Framing Service. Custom framing for photos, posters, memorabilia, and anything else you need! Custom jersey framing, with many layout, matting, frame and arrangement options! 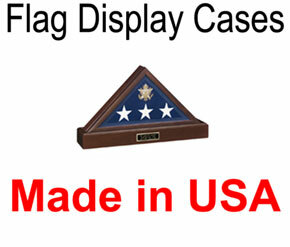 Flag cases, collages, and shadowboxes that are perfect for military memorabilia. 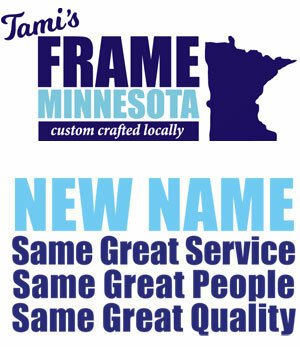 Welcome to Frame Minnesota in Eagan – your local framing experts for over 20 years! 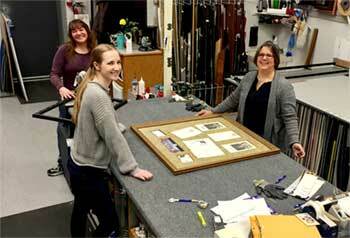 Frame Minnesota in Eagan is a locally owned and operated picture frame shop and custom framing service provider, with a passion for framing and preserving great art, memories, and achievements. We take pride in the works we provided, and are truly dedicated to giving you personal attention and expert service for all of your custom framing needs. Our prices are competitive with the big-box stores but our service and quality are second to none! Learn about the Frame Minnesota advantage! If you’ve never experienced our Frame Minnesota advantage, give us a try. You’ll be happy you did! Design and craftsmanship are guaranteed! Competitive prices with BETTER products than the 60% off coupon places! Commercial accounts welcome—volume discounts available! All work done onsite using best practices and state of the art equipment—check out our video above! 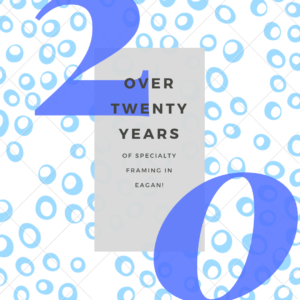 We are Frame Minnesota - your local framing experts for over 20 years! Faster, cheaper, and better! I’ve gotten all my framing done here. Every once in awhile I’m tempted by the local Michael’s 60% off framing coupon, and consistently, the price, even after the discount, is significantly higher than regular price for the same quality and same style framing. Don’t be fooled — 60% off an inflated “regular price” is no deal, let alone the quality and personalized care and service you get. We have used Tami many times to have some “art work” from our daughter framed. Yes, some of the items needed just a simple frame but others needed a bit more. One of the things I like about Tami and her staff is the care they use when framing. They also take the time to make sure you know about some of the knowledge you should have when framing. I never thought about using a higher quality backing that won’t make my art work deteriorate over time. Glass can also be an issue. If you ever want to know more about quality framing, see Tami Phillippi. She and her staff will help you and get it right at a great price as well.